When you think of finishing a piece of artwork, what comes to mind? For many artists, framing is the final step; the last touch of polish before it is presented to the world. They use framing as a way to present themselves in a more professional manner and to increase the value of their artwork. 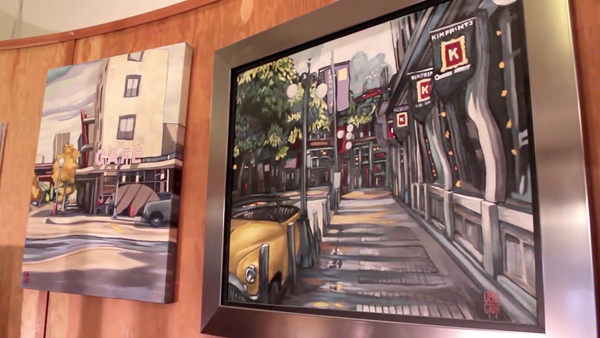 We visited the studio of North Vancouver artists Dene Croft and Kiff Holland for their insights on the importance and value of framing their artwork, and how they go about it. 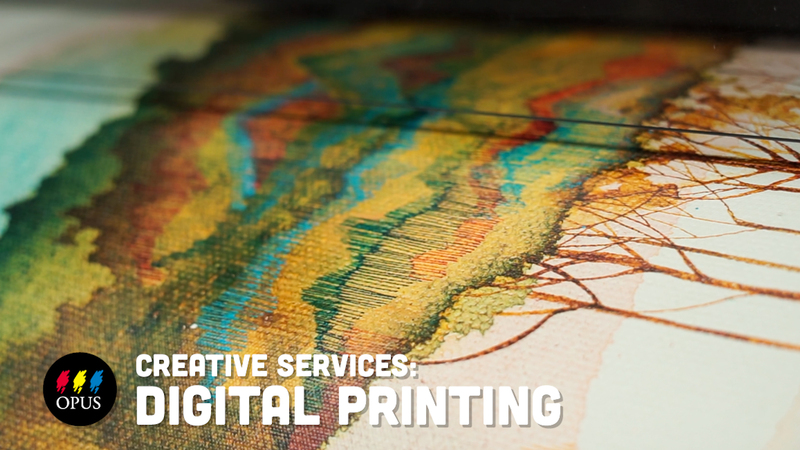 Inspired to give your work that finishing touch? Visit the framing department at your preferred Opus location and experience Custom Framing: The Opus Way for yourself! 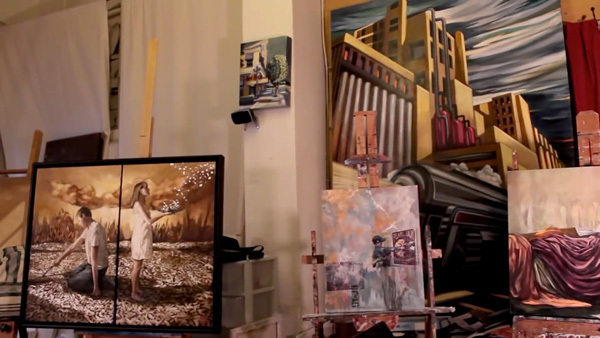 Dene Croft and Kiff Holland run a large atelier, where they work at creating art everyday. 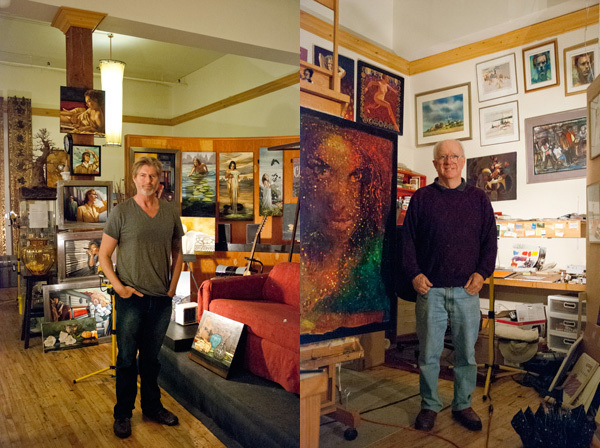 As art teachers, mentors and exhibiting artists, each of them produces large volumes of work and both know firsthand how vital it is to frame their art. Kiff was quick to note “When sending paintings out to galleries, they generally want them framed. If you do a nice job of framing, it adds quality and value to your work.” When a lot of effort is put into a piece of artwork, the best thing you can do for it is offer it framed in a way that displays it to its full potential. It’s all about presentation – people can see quality. 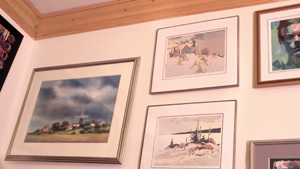 With endless ways to choose a frame, many people find it most effective to place frame corner samples with the artwork. 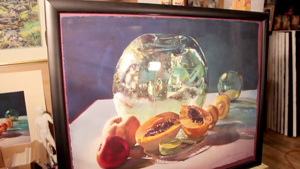 This way, you can be sure if the frame is too much, or too understated and, if you are using the artwork as a reference, it’s often clear when there is a winner amongst the choices – the colours pop, the image stands out, or the artwork, in some way, comes to life when you find “just the right thing”. Both Kiff and Dene agreed that the frame should compliment and enhance the artwork without taking over. “It’s got to be part and parcel of the work of art,” notes Kiff. 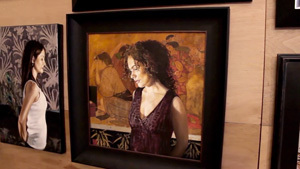 Framing “the Opus way” with the Custom DIY Framing Service is a fantastic option for many artists. The hands-on aspect of creating their art extends to selecting the framing package that will further enhance their vision. They select the visual elements, Opus custom makes the frame shell and accompanying pieces to their specifications, and the artist completes the cycle by putting it all together. With this self-direct style of custom framing, you can cut the cost by about half of what you would pay for full-service framing.